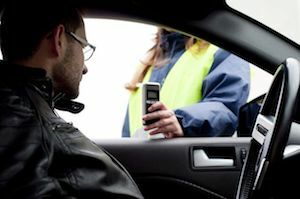 It is important to understand your breath test refusal rights when pulled over for a DUI in Phoenix, AZ, and the consequences that could result from your refusal. If you have refused or failed a DUI breath test, attorney James E. Novak can provide you with expert legal representation in a court of law. In the state of Arizona, you do not have the right to refuse a breath test, and doing so can result in harsh consequences. Understanding your rights and working with an experienced lawyer can help you avoid these situations or possibly reduce punishment. Contact the Law Office of James E. Novak today to discuss your DUI case. In Arizona, when you receive your driver’s license, you consent to submit to a breath test (or other DUI test) if you are pulled over by a police officer and they have reasonable grounds to request a breath test. A breath test and any other DUI test must be administered within two hours of when you last operated or were in control of the vehicle. If you refuse to consent to a drug test, you will be required to surrender your driver's license and a report will be filed to suspend your license. You do have the option to change your mind and take the test without suffering any consequences from your initial refusal of the breath test. Refusing a breath test does not mean you cannot be convicted of a DUI, and if you are convicted of a DUI, your refusal of the test can make your penalties much worse. When you refuse to consent to a breath test, you will be required to surrender your license. You will be given a temporary permit for a 15-day period, during which the officer who arrested you will file a report stating that they had reasonable suspicion that you were driving under the influence, that you refused to consent to the test, and that the consequences of your refusal were explained. If you refused a breath test, it is important to contact an experienced DUI lawyer as soon as possible. You can challenge the suspension of your license by requesting a hearing within 15 days of receiving the written notice. If this is your first offense, your license will be suspended for a period of one year. After 90 days of your suspension, you may request that an ignition-interlocking device be installed in your vehicle for the remainder of your suspension. For a second offense, or for repeated offenses, within seven years, your license will be suspended for a period of two years. If you refused a breath test, it is important to contact an experienced DUI lawyer as soon as possible. James E. Novak understands this specialized area of the law and can provide you with proper legal representation, to have your case dismissed or the penalties reduced. Contact The Law Office of James E. Novak today for an initial case consultation.